I managed to get my video, yet the information on the video is not up to date... It points to rarest trophy that isn't even rare on PSNP. 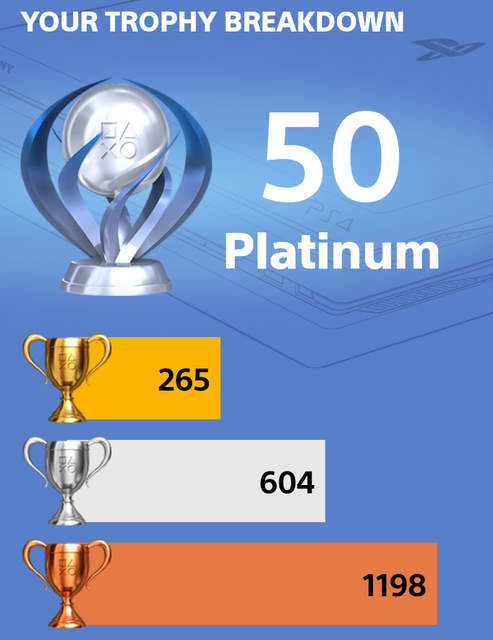 It says I have 35 plats, unless they are also counting the Vita trophies... 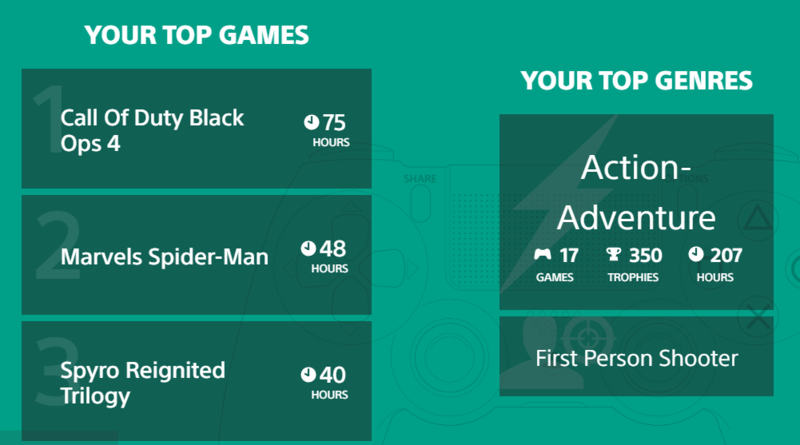 It even says my first game was inFamous Second Son First Light.... Lol whut? SW4 is accurate as that matches up with what it tells me in-game, so I'll trust the rest. Been playing Destiny religiously everyday for 4 years. But im done now with Destiny because of the decisions Bungie took. Not working for me. 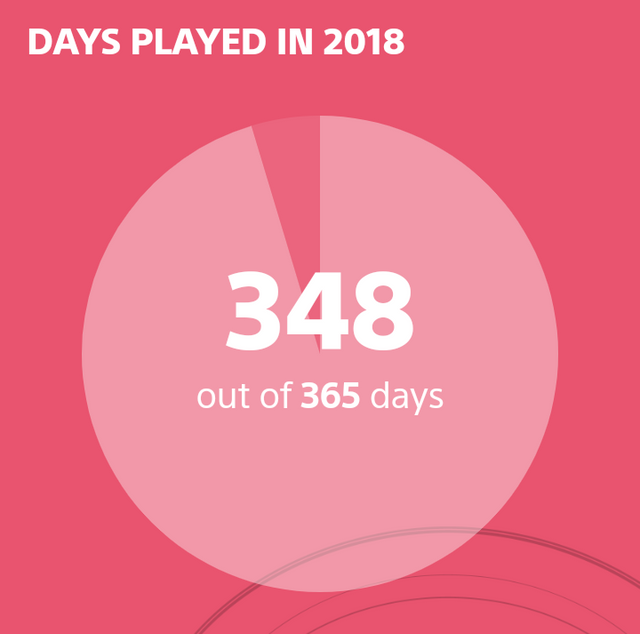 A little sad beacuse i was curious which game eat my time :). Well i think its Witcher 3, beacuse i have played it 7 times already xD. Wish they had this for NA. 3) Mafia III: 69 hrs. They do but it's not a video. There should be 1 or 2 topics here about it. Yeah, I keep getting an “Oops, something went wrong, your information could not been found” error message. Tried this the last few days. I don't know how to get around that other than waiting. Some people were getting that but it worked eventually. Is this available for Austria? 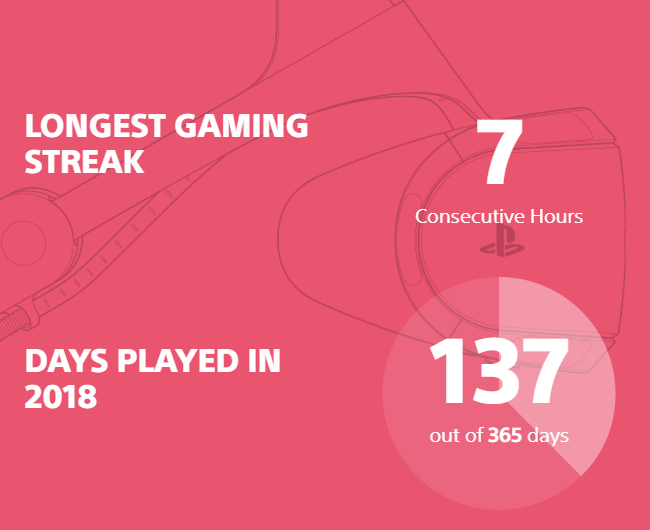 Which isn't really accurate, since it only counts my 2018 games, and not all-time since BO3 would be way higher than Spider-Man. because I don't get on my consoles much. 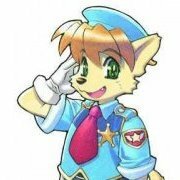 but here is my part for 2018 only !